2 days for $50, 1 day $25 (no prizes or entry to leagues for 1 day). We will be running demos too. This is promising to be a knock-out weekend of gaming as rumours of interstate travellers come in. Clint has mentioned a few words about a comeback or something . . . Anyway start getting those leave passes organised and I will run a player list on here. Briscon is done and dusted. Time to have a think and reflect on what was planned, what happened and what could be better. No excuses or blame. Just make it better. 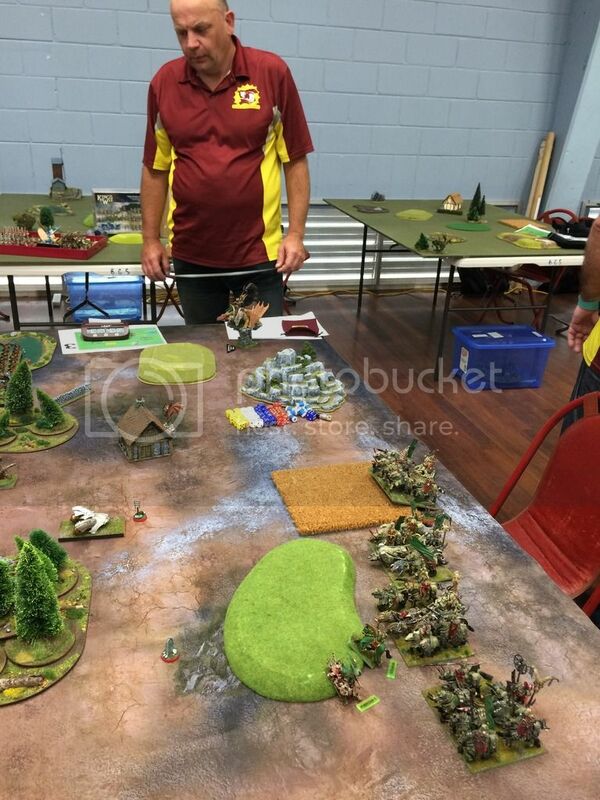 First emails began bouncing around after Briscon 2016, when Team Queensland hosted the first KoW tournament ran by Ken Dunford with 12 players. 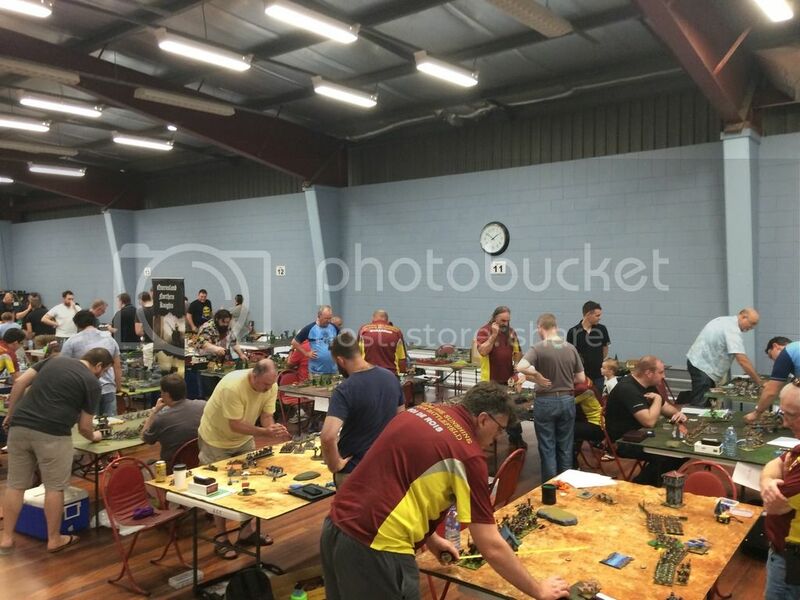 The 2017 tournament escalated in scale to be a qualifier for Australian KoW Masters event later in the year, giving us the name �Briscon KoW Open� as players could travel interstate to qualify Neal Barton nominated to run Briscon KoW Open using Ken D�s experience and previous tournament pack. 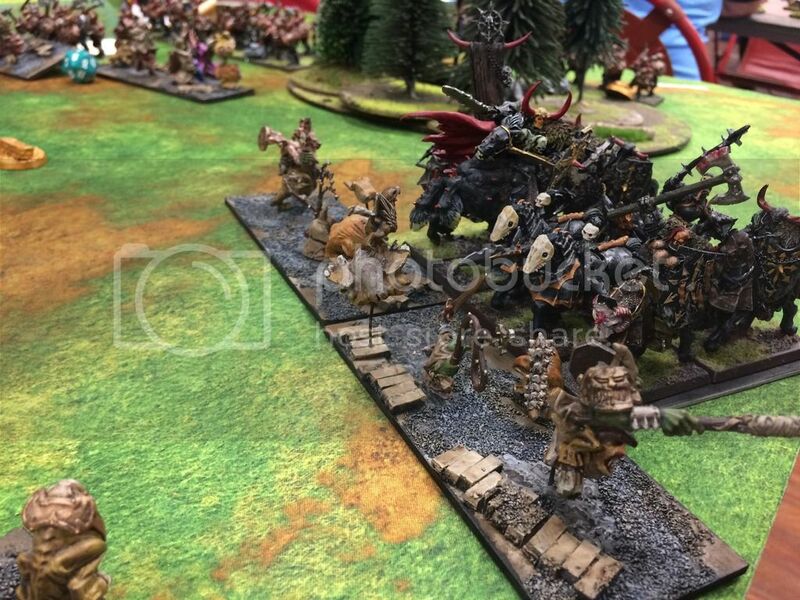 The tournament pack made use of an organised play supplement �Clash of Kings 2017� which restricted army builds, brought in new magic items, spells and scenarios and has been well received by the community. 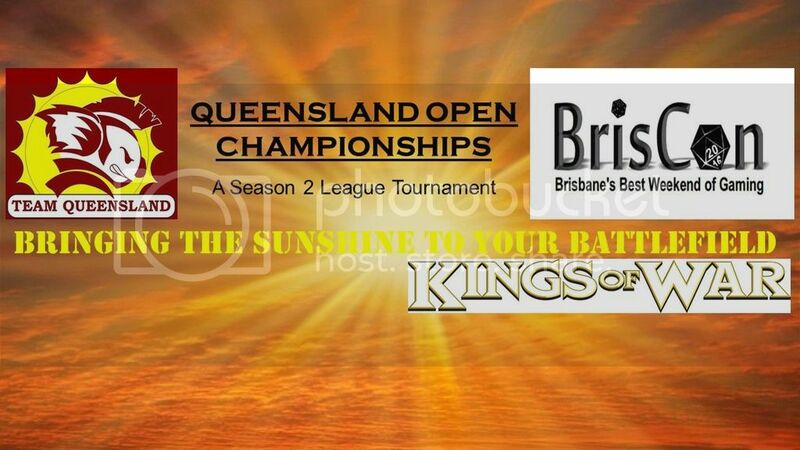 The original tournament pack was amended when this supplement came out. The amendments were put as extra pages onto the tournament pack, which created a pack of 12 pages and several players voicing concern that 2 sets of scenarios were being used. A smaller tournament pack should be created, stating: who what when were why and how and refer to other resources such as the �map pack� or CoK book for further details. We aimed for 30 players. We had 19 paying and 18 playing on the day. This 50% increase in numbers with 4 interstate players shows a continuing growth on the community and willingness of players to travel. This was aided by a long weekend and Team Queensland players hosting interstaters in their homes, helping to keep costs down. 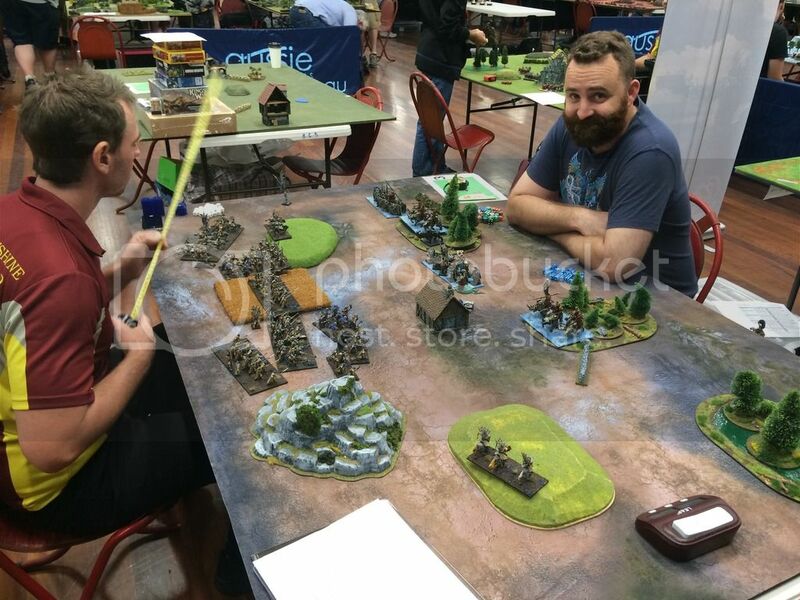 Demos were run throughout the weekend by Team Queensland member Fraser Keetley, who created background fluff, and 2x750pt lists with the aim of introducing passers-by to the game in 30-45minute games with fully painted armies and great terrain. The demo table was constantly busy with public taking time to look & admire or partake in games. 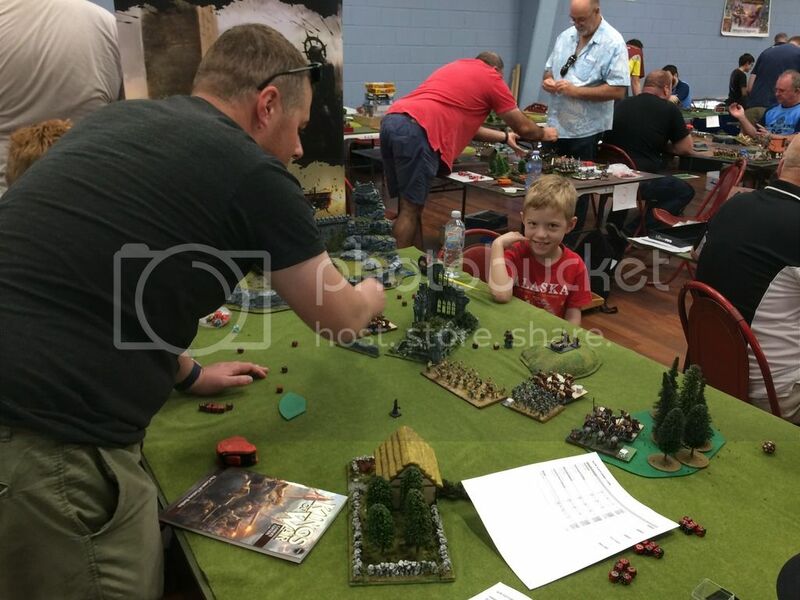 Two separate occasions, father and 2 young sons could enjoy a game together. Public were encouraged to either join Team Queensland Facebook pages or email addresses were taken and will be followed up via email. 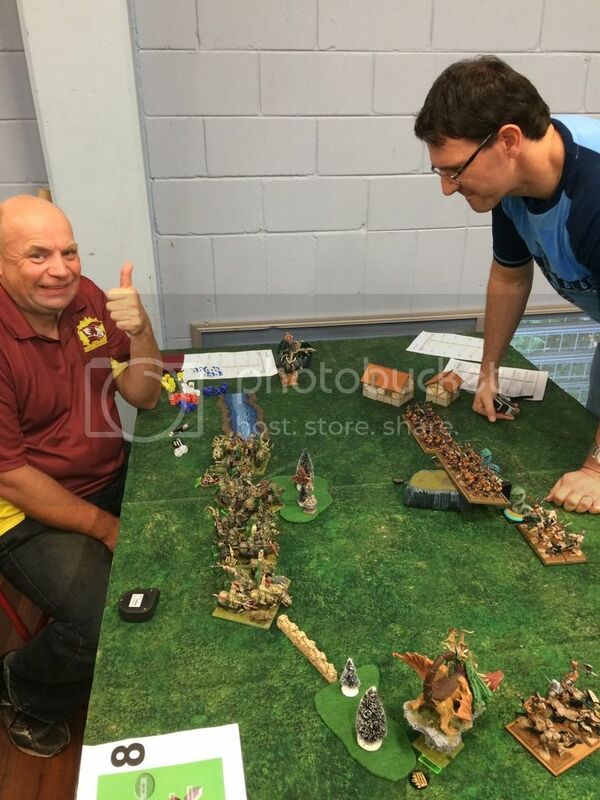 All participants were given a sprue of zombies or dwarves to take away. Space at the event was perfect with enough space around tables for players and public to walk around and chairs were also provided. 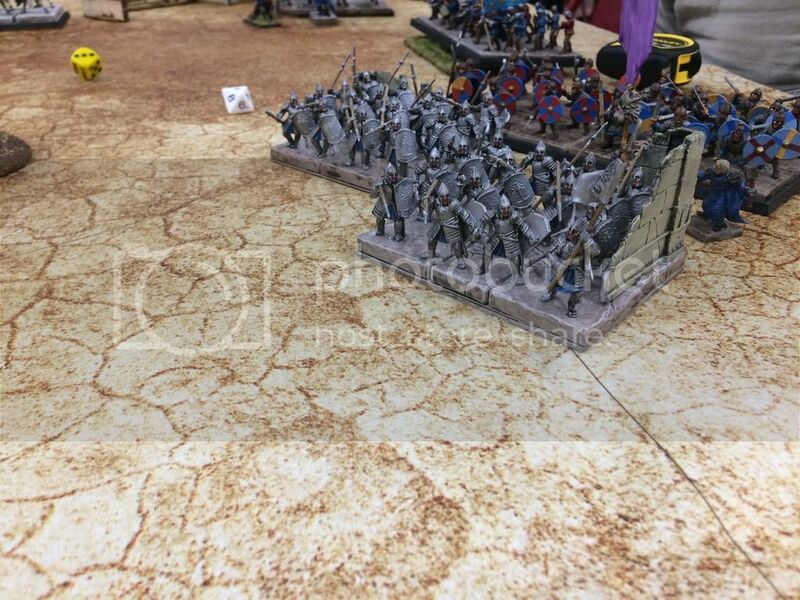 The entire KoW area was at the back wall of the hall, which was good. 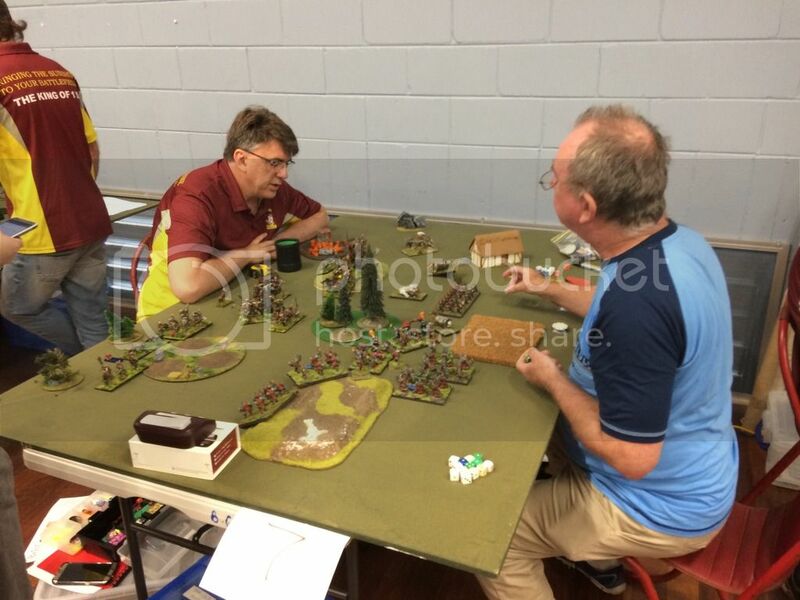 Tables were provided by Briscon organisers as 6x4� sheets of green painted MDF board. 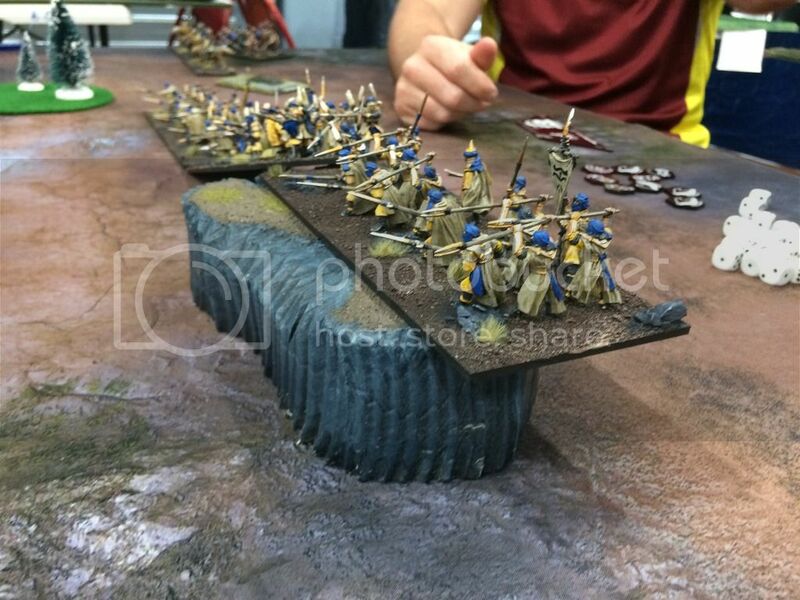 Perfect for games, although we were unsure if the boards would be painted, so provided our own gaming mats. 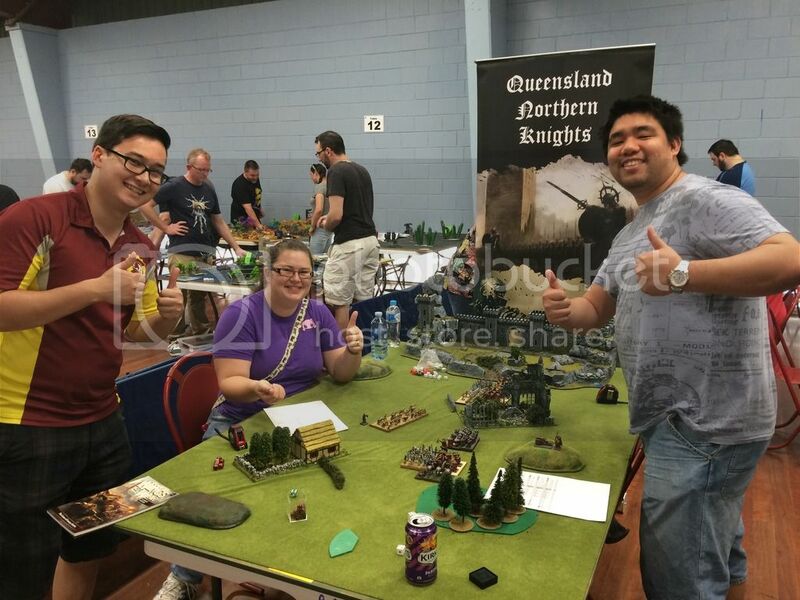 Scenery was provided by either players or a local gaming club (Queensland Northern Knights). And was of a high quality, painted and textured. Terrain, as ever is an ongoing project and more will be needed for future events. 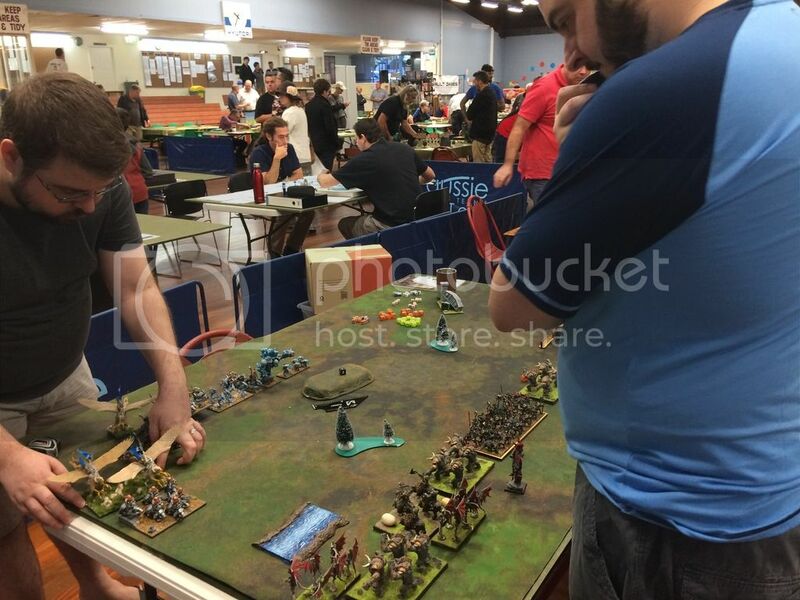 TableTop.To software was used throughout the weekend, which enable players to input results, see round draws and check tournament ladder through their smartphones. TO�s role was the check the data was correct and create the round draw throughout the event. The Software worked for rounds 1-5, then failed to create a round 6 or 7 which had to done manually and the draw entered. The software creator was on-hand throughout the weekend and responded instantly to the issue. EasyArmy was used to create almost every army lists online and produce neat lists with all special rules on the back. Each player paid $50, $40 of which went to hall hire and event organisers. Remaining money will be donated to Tabletop.TO and EasyArmy creators to help fund these amazing resources. Prizes were generously provided by several sponsors (named below) who gave us prizes ranging from $10 -$220 RRP. Players were invited up in final placing order and given 30s to choose their prize before the next player announced. Players were given enough option for prizes that they should all be able to make use of what they selected. Business cards were given out for sponsor and a local podcast. Each player�s score sheet had sponsor logos printed on. Every player was given the opportunity to feedback either directly on the day, or via email. On the day, players were grateful and acknowledged the input and work of Briscon organisers and TO Neal Barton. There has yet to be any improvements for next year. 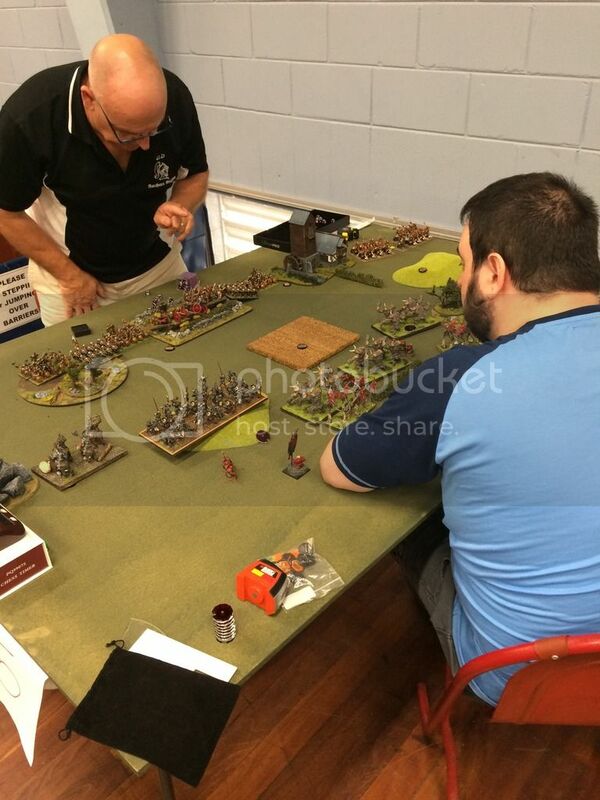 I had a blast running Kings of War QLD Open Tournament and would love to do it again. Key thing was being able to talk to public about how smooth the rules are and showing how no player in the tournament had their rulebook in view. 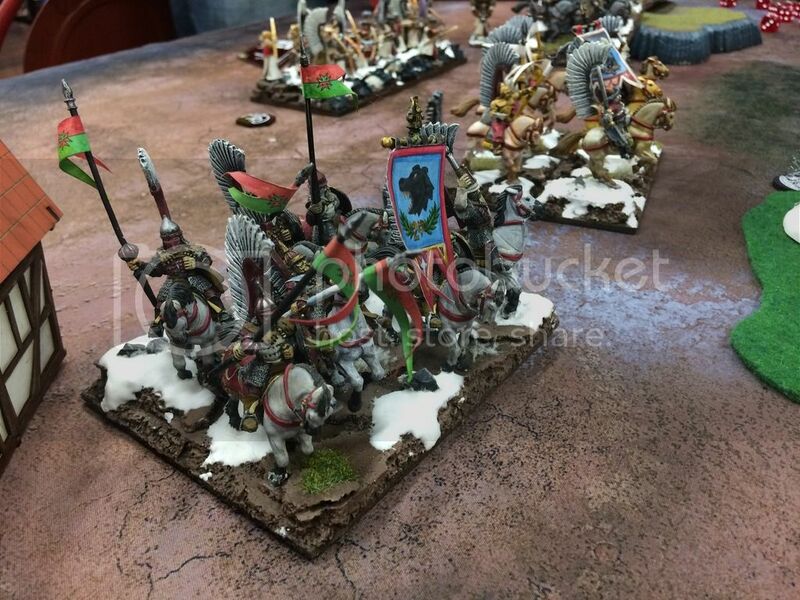 The standard of painting was high, with all armies being fully painted and based though there was no painting standard stipulated. 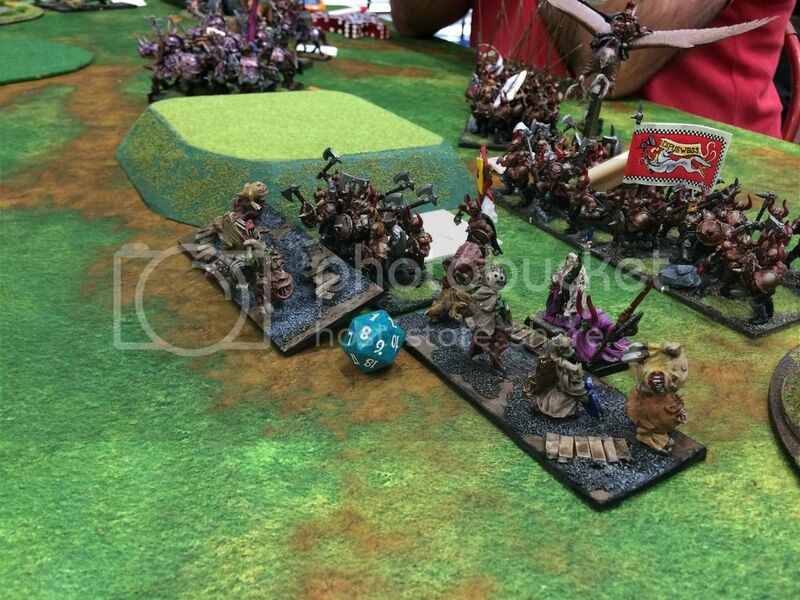 Public, traders and event organisers were asked to judge top 3 painted armies and it was split between 8 players, with Aris getting 3 votes to win. p.s. Well get some guys up there - but we gotta get through CanCon first! Leave pass organised and paid. Should be great! Tickets are on sale now! Only 30 available. After the success of CanCon, there are rumours of State of Origin team rumbles happening for Round 1. Neal - I'm trying to buy a ticket, but am unable to use paypal. Can you please let me know what I need to do to get a ticket (or preferably 3). p.s. Thats 3 of us invaders heading to Briscon!!! Hey Y'all - put me down for a spot. Will pay in the next week or so. Woot - good on ya! Tickets are starting to fly out the door now - be quick folks! Registrations open on tabletop TO.